With this upcoming Solar eclipse we're entering a 4-week period filled with transformational potentials. Scorpio is the most mysterious sign in the zodiac. This is where the veil is at its thinnest, where the visible and the invisible world touch on one another. Living in North America we get the special treat being able to eye witness this celestial spectacle. The shadow of the Moon will be racing over Earth. Thus depending on where you live, Thursday afternoon between 2 and 6 p.m., the Moon will obscure 60-80% of the Solar disk. If this sounds intriguing you might want to prepare for this event. Get a pair of welder's glasses, or thoroughly blacken a piece of window glass by the smoke of a candle, so you can safely observe this powerful meeting of Sun and Moon's energy without harming your eyes. Solar eclipses are fresh beginnings. They're landmarks, they provide a fresh sense of orientation. and allow for new perspectives to arise. As a result situations may take on entirely new meanings which then demand us to redefine our approach. It speaks for itself that countries and areas from where eclipses can be observed receive the most direct impact. We can expect that it will be in North America where the polarization of energies will show up most dramatically. As a matter of fact, with the October 9 total Lunar eclipse intensity and drama have been pushed a notch higher. It was on that day when the first Ebola victim died in the US. Scorpio wants us to investigate, to probe for hidden causes. We get strong hunches and can develop relentless persistence. We can deal with complex situations, and there's focus, steadfastness and concentration. The first step in overcoming crisis is analysis, trying to understand the underlying dynamics. Honesty matters. When we manage to mobilize the courage to cut through lies, expose shortcomings and renounce illusions we're tapping into the most refined frequency band that Scorpio can offer. 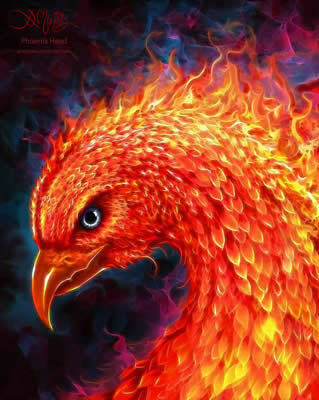 The sacred birds, the Eagle and the Phoenix are Scorpio's conscious totems. Whatever's not on stable foundations is becoming shaky. The US dollar and overvalued stock markets have started rumbling, tremors are threatening to further destabilize the economies' house of cards. Overall it seems the sentiment is shifting from complacent to worried. It's not surprising that shaky circumstances have rekindled the public's appetite for gold and silver (my blog of October 11). It helps to keep in mind, we're in the final 20-year period of this materialist epoch (1802-2020). In the year 2000, Jupiter and Saturn had their meeting in hexagram #23, Collapse. It's all too obvious, we're knee deep in the dirt. Before being able to move on, we have to face the past, encountering the demons, one on one. When we manage to conquer our fear, when we dare to honestly assess what's been out of whack, flaws will stand out. It becomes clear what changes need to be made. Eclipses reach their maximum shortly before or shortly after the Moon is new or full. This important nuance tells us how an eclipse plays out. 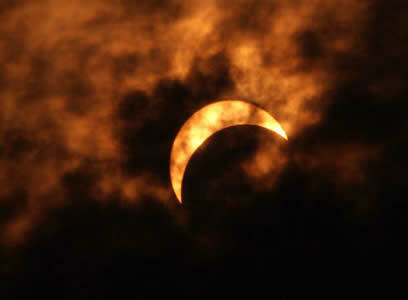 The present eclipse peaks shortly before New Moon. That means energies still are building, and pressure is intensifying, immediate release is not likely. 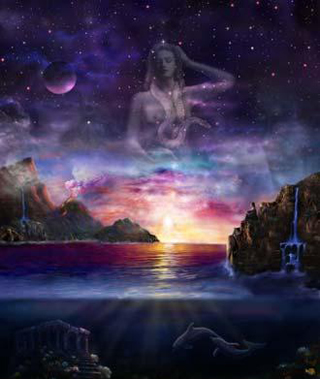 Both Moon and Venus enter the sign of Scorpio while the eclipse is underway. The hidden message is that we should start with what we love and cherish. We shouldn't hold back anything, the key is to celebrate life. Asteroid Pallas, closely bonded into this eclipse' geometry represents mental clarity and gives a sharp intellect, thus facilitating brilliant solutions. Mars is at the Galactic center, at 28° 07' Sagittarius, the planet of highest degree. One more sign that these coming six months invite us to act courageously, despite possible risks. Be bold, express your thoughts and you will initiate change. We have to develop the guts to go first and to set an example. 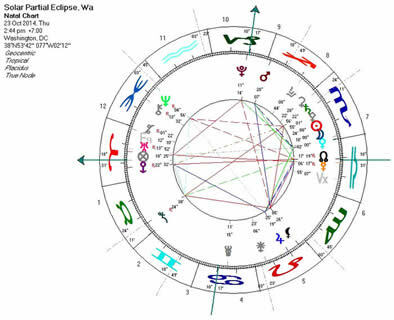 On October 26, three days after the eclipse, Mars enters Capricorn. In cardinal earth, Mars is in its prime, well grounded and guided by a clear plan,. It's very auspicious that Mercury turns direct one day earlier, adding the dot to the "i". There are many indications that for many individuals a magical story begins unfolding as they begin tapping into their inner power.